Boris Johnson was given a £10,000 donation by the chairman of JCB just days before he gave a major speech at the digger firm’s factory. JCB billionaire Lord Bamford – a major supporter of Brexit and a Tory donor – gave the cash to the ex Foreign Secretary. 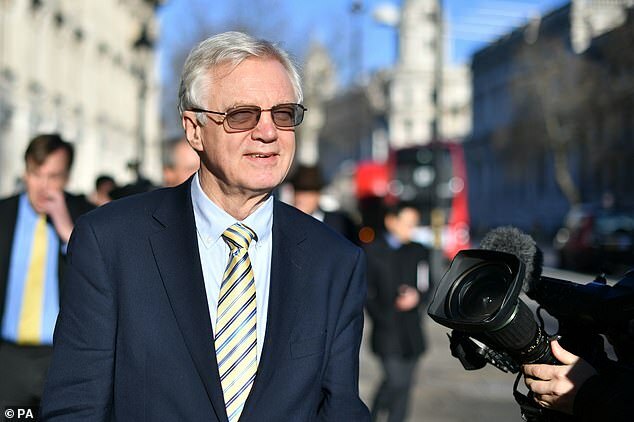 While David Davis has been given a lucrative new post as an adviser to JCB, which will mean he rakes in £60,000 for 20 hours work. The huge sum works out at £3,000 for every hour worked, or £50 a minute. Mr Davis said he had complied with the rules concerning former ministers’ employment. Lord Bamford is a strong supporter of Brexit and helped fund the Vote Leave campaign during the EU referendum campaign. He has insisted that there is nothing to fear from a no deal Brexit. He and his family topped the list of Tory donors in 2017 by giving £2.5million to the party personally and through their firms. 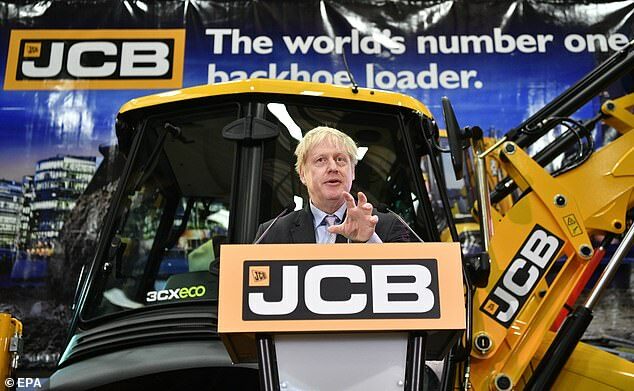 Mr Johnson last week travelled to JCB’s headquarters in Staffordshire last week to rail against the PM’s Brexit plan while standing in front of one of the company’s diggers. He used the speech, which came days after the PM’s Brexit deal was defeated in the Commons, to spell out his Brexit vision in a thinly veiled leadership bid. He declared that a Tory government should cut taxes and limit immigration. Mr Johnson insisted delaying Britain’s exit from the EU would further ‘erode trust’ in politics and fuel suspicion of an ‘elite conspiracy to thwart Brexit’. He is seen by many as a front runner for the Tory crown – but is also loathed by many Tory MPs who dismissed his pitch for unity today. Insisting Britain would succeed under no deal, he said: ‘I don’t want to pretend there will be no challenges and no changes to cope with.